Fighting for custody of your child can be extremely challenging. Follow these expert tips to have the best chance of winning your child custody battle. If you're fighting for the custody of your child, you're not alone. There are millions of parents out there going through the same difficult situation. While it's no one's optimal position to be in, it's certainly an important one that should be taken very seriously. After all, it will change the rest of your and your child's lives. Thankfully, there's help and support available to you. If you want to know how to get the results you deserve from your court hearing, you're in the right place. Keep reading to learn about six expert tips to help you win your child custody battle. Before you do anything else, take a step back and analyze where you are in your child custody battle. Here are some questions to ask yourself to properly analyze your situation. Have you or the other parent filed the custody petition? If you haven't filed for custody already, then you're not in a custody battle yet. This initial step needs to be completed if mediation is unsuccessful. Speaking of mediation, make sure that you have indeed made a full attempt at this before involving a court hearing. If you need help, don't stress. Canada has many territorial and provincial programs to assist families. Making sure that you've gone through these first steps before the legalities begin is important in achieving the best outcome. Before you have your court hearing, you want to be fully prepared. Pinpointing and understanding where the custody disagreement is coming from is a vital step. This comprehensive understanding will allow you and your lawyer to come up with the best gameplan. Identify why mediation was not successful. Did you and the other parent want different visitation time amounts? Is physical location an issue in your case? Is anyone being accused of drug abuse, neglect, or endangerment of any kind? Review these details with your lawyer so that you can be prepared for what the other parent may bring up during the hearing, along with any evidence you can provide. You want to be as prepared as possible. Figuring out how and why a judge decides custody in the manner which they do is invaluable. There are many different factors that go into this decision, not all of which will apply to your situation. Each parent's ability to properly raise the child. The closeness of the relationship each parent has with the child. The employment status of both parents. Which parent the child prefers to live with. If a relationship with both parents is encouraged. As you can see, not all these factors will apply to every child custody battle. But you'll need to figure out which ones apply to yours to get into your judge's head. Take a step back and look at your case from their perspective. How do things look for you? This will help you to build the strongest case in your favor. Now that you've gathered all necessary information, consider these tips. Show that under your care, the child will have good eating, sleeping, and exercising habits. If you encourage your child to be involved with activities like sports or music lessons, for example, evidence of this will be helpful. Your lawyer can help you assemble the appropriate proof. Judges tend to support parents who are open to their child having a relationship with the other parent as well. Showing that you are open to this will help your case. If the judge rules in favor of joint custody, you shouldn't feel like you've lost the battle. In many cases, this is the ruling that best suits the child. When your child's future is on the line, cutting corners isn't an option. 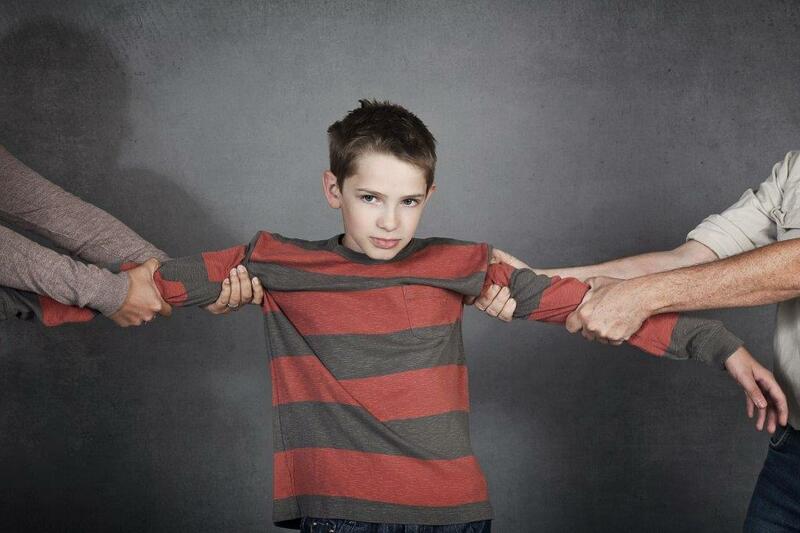 For this reason, hiring a family lawyer during your child custody battle is an absolute must. During this stressful time in your life, you should allow yourself time to process with your family and your child. Filling out paperwork and trying to understand legalities all on your own is time-consuming. It can also lead to common or costly errors. These errors, in turn, will cause more stress and delays in your case. A lawyer will free up your time and ensure that no mistakes happen. This one may seem like a no-brainer, but when people are under extreme stress, it can cause anger. When going through a child custody battle, it's important to always stay calm and positive. A great tip is to imagine that the judge can see everything you're doing. If you reveal your anger and frustration to the other parent, you can be sure the judge will hear about it in court. If you feel that you cannot avoid anger when in contact with them, try to minimize this contact. For example, use school as a place to pick up or drop off your child instead of the other parent's home. We know how difficult this time can be. A child custody battle is someone no one wants to go through, but when you come out on the other side you'll be that much stronger. Just remember to follow the tips above in order to get the best possible outcome. Attention to these details is invaluable as you prepare for and attend your custody hearing. And if you have any questions or need assistance along the way, we're here for you. Just contact us anytime and we'd be more than happy to lend a hand.